The era has ended for iced teas that are only thirst-quenching. Tea Collection launches the season of the tea-based beverages full of flavour and ingredients with recognised beneficial properties. To nourish the body and spirit, as in the best tea tradition, thanks to the use of raw materials based on the best organic fruit. Rigorously packaged in glass bottles to preserve their quality, the BioPlose iced teas offer rituals of well-being ready to be uncapped and tasted. White tea, with its well-known antioxidant characteristics, combined with ginger, recognised for its anti-inflammatory and digestive properties, and the sensual sweetness of the elderberry flower create an iced tea capable of providing unique sensations. Strictly organic for total well-being. White tea is one of the most valuable and sought-after varieties of tea. Once the exclusive prerogative of the Chinese Emperor, it is made from the buds collected by hand at dawn and dried outdoors. Naturally rich in antioxidants, it is credited with having anti-ageing properties combined with an energising action. Ginger root is a spice recognised as being stimulating and toning with anti-inflammatory and digestive properties. BioPlose White Tea & Ginger builds upon these ingredients to create a taste experience which heralds a well-being that spreads to the last sip. And more. Like all the iced teas, the Tea Collection has no preservatives, colorants, GMOs and added sugar, except those naturally present in the fruit. The purity of the white tea buds, collected before they open, and the positive and anti-oxidant energy of the acai, cranberry and black raspberry super fruits in a mix that sets a new accomplishment in iced teas. Up to now thirst-quenching drinks, now well-being and health ready to drink. White tea is one of the most valuable and sought-after varieties of tea. Once the exclusive prerogative of the Chinese Emperor, it is made from the buds collected by hand at dawn and dried outdoors. Naturally rich in antioxidants, it is credited with having anti-ageing properties combined with an energising action. The “super fruits” acai, blueberry and cranberry, known to be full of nutrients, vitamins and antioxidants, offer an additional boost of positive energy. BioPlose White Tea & Super Fruits builds on these ingredients in an iced tea which provides a great sensation leaving as aftertaste a pleasant sense of well-being. Thirst-quenching and flavourful, BioPlose Tea & Peach is ideal in the hot season, when you need a restorative and satisfying drink. It is not a simple peach tea, but a skilled recipe created to provide great taste sensations and at the same time quench mind and body. The peach, juicy and flavourful, is the queen of summer. A tonic and cleanser, it has refreshing, detoxifying, remineralising and restorative properties. With a high content of antioxidants, vitamins and beta-carotene it is an ally against free radicals. The Tea & Peach BioPlose Tea Collection combines the best qualities of tea and peach to create an organic iced tea with a unique flavour. All the energy of the lemon and the flavour of the tea for a quenching boost of energy. A refined recipe that combines the best organically grown tea leaves with the best 100% organic lemons. The lemon has always been considered a fruit with many virtues. Rich in Vitamin C it helps to fight flu and colds, to counteract free radicals. In addition, it helps digestion and breathing and even promotes the production of energy at the cellular level! Tea is naturally rich in theine, a substance that stimulates the nervous system and contributes to improving attention and concentration. Bio Plose Tea & Lemon combines the best organic lemons with very select organically grown tea in a drink capable of giving you all the energy you need with maximum flavour. Without preservatives, colorants, GMOs and added sugar, except those naturally present in the fruit. A perfect balance between the delicate flavour of green tea and the aromas of natural fruits, BioPlose Green Tea is a new interpretation of classic, organic well-being. Thirst-quenching and with great virtues, it provides intense emotions with every sip. Recognised as a health drink because of its antioxidant, diuretic and anti-inflammatory properties, green tea is a veritable concentration of virtues. Originating from China and Japan, it is considered capable of helping to eliminate waste and excess fluid with a detoxifying action on the entire body since ancient times. The Green Tea Tea Collection, like all the Tea Collection iced teas is prepared with organic ingredients, without preservatives, colorants, GMOs and added sugar, except those naturally present in the fruit. A small addition of lemon and grape must make it exceptional for the most demanding palates. 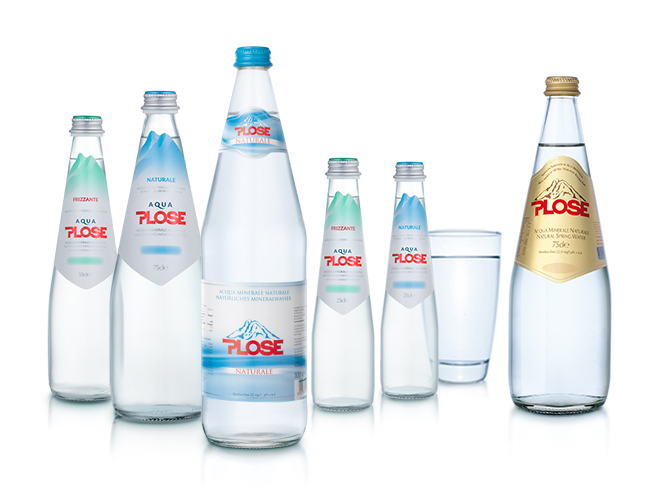 BioPlose. Fruit in its finest form. Would you like Plose delivered to you?